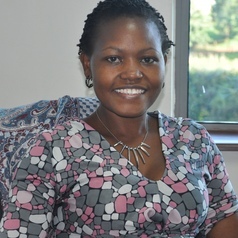 Elizabeth is a Research Scientist at the African Population and Health Research Center (APHRC) and also an adjunct Assistant Professor of Epidemiology at Brown University (USA) and an honorary lecturer at the University of Glasglow (UK). She was a Wellcome Trust Fellow between March 2012 and February 2015. She is a public health specialist/epidemiologist with a particular interest in research in child health and nutrition, particularly maternal, infant and young child nutrition (MIYCN). She has a passion to promote the well-being of children, particularly those growing under vulnerable situations like slum settings. She is currently conducting intervention studies in urban slums and rural settings in Kenya, aimed at improving child nutrition and health, working closely with the Unit of Nutrition and Dietetics, Ministry of Health. She holds a PhD in Public Health from the University of the Witwatersrand, South Africa obtained in 2010. Her thesis focused on the double burden of malnutrition in a high HIV prevalence setting in rural South Africa. She also holds a Master of Public Health degree from Moi University, Kenya obtained in 2004 and a BSc. in Environmental Health from the same University, obtained in 1999. She first joined APHRC in 2003 as a Research Trainee before proceeding for PhD studies in 2007, and rejoined the Center in 2010 as a post-doctoral fellow. Elizabeth has also authored several publications on public health issues, focusing mainly on child health and nutrition.